'No More Sad Songs' quite recently showed signs of improvement! 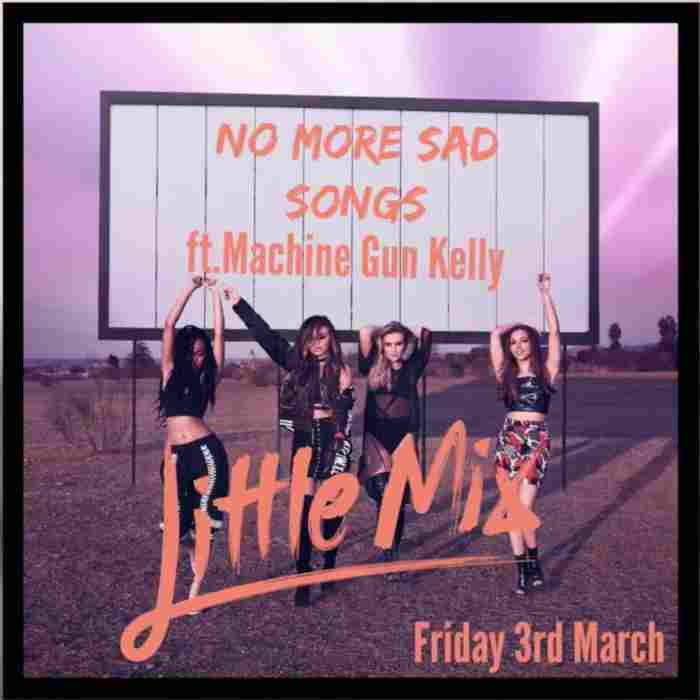 It's one of their most well known tracks from ‘Glory Days', and Little Mix have recently declared that not exclusively will 'No More Sad Songs' be their next single, yet it will likewise highlight Machine Gun Kelly! The young ladies posted a video on Twitter – looking hot AF in cattle rustler caps and harvest tops - affirming the news and prodded a tad bit of MGK's verse on the tune – it was at that point an immense melody and it just got much BIGGER. Little Mix are as of now the UK's greatest young lady band, and Machine Gun Kelly went from being well known in the rap diversion to overall praise with his shocking single 'Bad Things' including Camila Cabello – so this blending can be nothing other than a champ! The first form of 'No More Sad Songs' has been accessible on the young ladies' 'Glory Days' collection since its release, and the secret of the new form sees MGK rap, "taste of the good life, would you be able to keep pace, would you be able to ride shotgun in the fast track with your eyes wide close, let me know do you have faiath in me? ".